The tube seems fine, I havent installed it yet. It is actually not really the price which made me order at SJS but simply the immediate availability of the product. I get the stuff faster with international delivery in the UK than ordered at the local shop here in Switzerland! Besides that: it costs less with shipping than local without. Can't say much about the tubes themselves. I have always used them and they are great value for the money. Inner tube is pretty much what you would expect. I order from SBS as delivery is normally very quick (1 or 2 days). 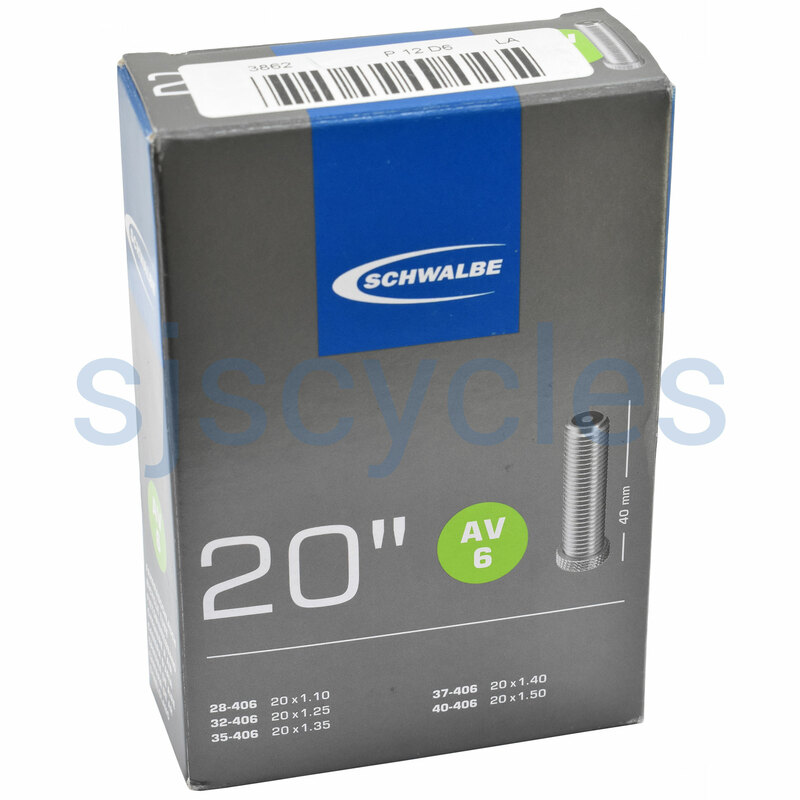 This was ideal for use on my 20" wheel and I have great confidence in its longevity due to the Schwalbe reputation. It's good to be able to get so many different sizes with inner tubes so that one will be the perfect fit whatever your set up.